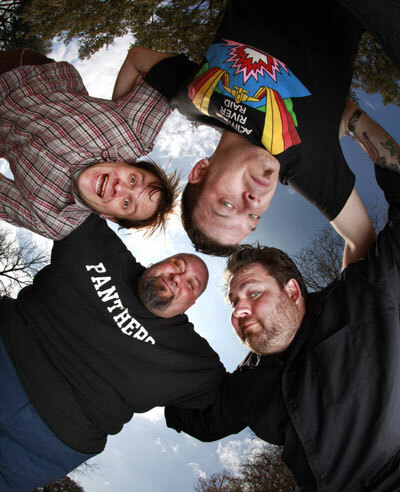 April 29 Bowling For Soup w/ The Dollyrots & Sheridan Breakdown Sokol Auditorium, 2234 S. 13th St. 8 p.m., $16 in advance or $18 day of, ticketmaster.com F-F-F-Friday, Grammy-nominated pop-punk band Bowling for Soup, better known by the acronym BFS, will steer their tour for their recently released 11th studio album, “Fishin’ For Woos”, to the Sokol Underground. Their latest release is the band’s first independent album after leaving Jive Records last year, and the result is a re-energized sound for the 16-year old group. You can get a free listen of their single “S-S-S-Saturday” streaming at AbsolutePunk.net. If the Fort Worth, Texas , four-piece hasn’t rung any bells yet, just Youtube their singles “Girl All the Bad Guys Want” and “1985,” their biggest hits to date. While not the most recognizable band from their genre, their fingerprints on pop culture have been many, with soundtrack contributions and appearances on Nickelodeon, Cartoon Network, and Emmy-nomintated work for the theme song for Disney Channel’s global phenom Phineas and Ferb.